In the spirit of PokerStars ambassador Daniel Negreanu on opposite day: More rakeback is better. At least that’s the feeling over at WSOP.com headquarters. 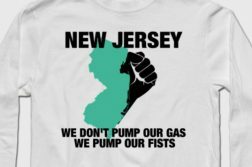 In a recent press release outlining all the changes players can expect when interstate liquidity sharing between New Jersey, Nevada, and Delaware goes live on May 1, the operator offered a preview of its new Poker Rewards loyalty scheme. 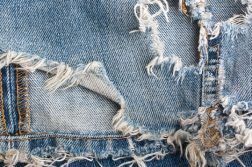 Suffice it to say, for both casual and regular NJ online poker players alike, the new program will come as a pleasant, and highly lucrative surprise. Put simply, Poker Rewards is an ambitious revamp of WSOP’s existing player rewards program. The basics of the system remain unchanged. Players will still receive 2 Action Player Points (APPs) per dollar generated via rake and tournament fees. They’ll also move up the site’s monthly and annual tiers as they accrue more points, unlocking better rakeback percentages along the way. This rakeback will still be redeemable for cash, as it always has been. What has changed are the number of tiers and the rakeback percentages, and all for the better. The current scheme in New Jersey is hardly inspiring. Players don’t even begin to receive rakeback until they’ve raked $100 monthly, and even then it’s just 2%. This figure scales up to 9% at the Diamond+ level, which requires a lofty monthly rake contribution of $3,750. In total, there are 12 monthly tiers, making for an unnecessary complex program. Currently, there are two annual tiers. The first, Elite, tasks players with generating $25k rake in exchange for 20% rakeback. And the second, Seven Stars, asks players to rake $125,000 for 35% rakeback. 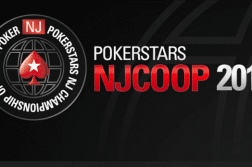 Achieving Seven Stars appears to be little more than a pipedream given the capped liquidity of the New Jersey market, especially considering the low prevalence of higher stakes cash games and tournaments. It is presumed, although not stated in the presser, that WSOP NJ players will still be able to connect their land-based Total Rewards card and continue to earn 1 Tier Credit per APP earned. What we first noticed is that the number of tiers has been reduced to a more palatable number, with four monthly tiers and a solitary annual level. More significant are the rakeback amounts. What hasn’t changed is that players won’t start earning until they rake $100 monthly. Except instead of starting at 2% and grinding out an extra 1% per loyalty tier, those who achieve Bronze status will be treated to 8% rakeback out of the gate. The difference between the old and new schemes is no more notable than at the Silver level, where beginning in May, NJ players will receive 20% rakeback. Previously, in order to achieve this high a percentage, they’d have to generate nearly $2.1k in rake monthly for a year ($25k total). Now, it’ll just require $325 in a single month — an otherworldly reduction of 98.7%. The top amount of rakeback players can theoretically receive has taken a slight dip, from 35% to 32%. However, the journey to the highest tier is no longer an impossible one. Instead players will have to accrue just 8% the amount of points they did previously to reach the top. $0 – $99 in monthly rake paid: 0% rakeback under old system, 0% under the new. No change. $100 in monthly rake: 2% rakeback under old system, 8% under new. 300% increase. $250 in monthly rake: 4% rakeback under old system, 8% under new. 100% increase. $500 in monthly rake paid: 5% rakeback under old system, 20% under new. 300% increase. $1,000 in monthly rake paid: 6% rakeback under old system, 25% under new. 317% increase. $10,000 in annual rake paid: up to 9% rakeback under old system, 32% under new. At least a 256% increase. $25,000 in annual rake paid: 20% rakeback under old system, 32% under new. 60% increase. Also hinted at was the 25 Seat Scramble — which will award a minimum of 25 seats to the WSOP Main Event at the Rio. We also expect full details on the forthcoming WSOP Online Championships in relatively short order.